Thanks to the patented ingredient Novaxyline (a grafted golden seaweed) the skin produces Hyaluronic Acid and Collagen itself. 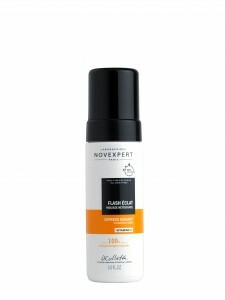 Furthermore, Novaxyline acts as an anti free-radical en thus prevents skin from Aging too fast. 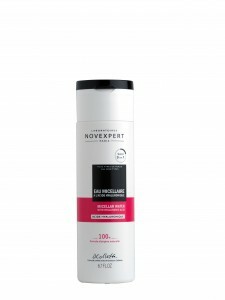 Since all products are hypoallergenic, Novexpert is very suitable for those with sensitive skin. Each product range is developed in cooperation with a French doctor and has been proven to be effective. In 5 seconds a radiant complexion, in 5 minutes a lifting effect en within 5 weeks an anti age effect (up to 45,7% of wrinkel reduction). It goes without saying that Novexpert products are not tested on animals. 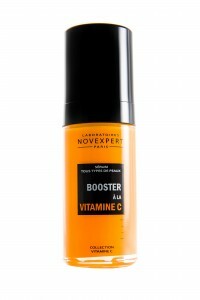 NOVEXPERT is suitable for men and women and sold exclusively by ICI PARIS XL in the Netherlands and in Belgium.